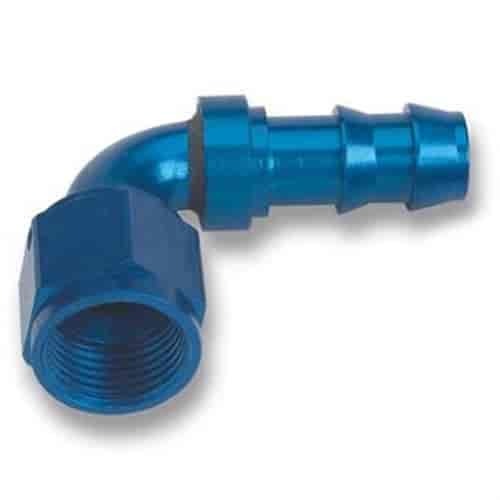 Earl's Super Stock Push-On Hose Ends are machined from aluminum alloy and anodized red and blue for durability. They are direct replacements for common brass barb fittings and designed for use with Super Stock or OE rubber hose. Not intended for use with stainless braid-protected hose.